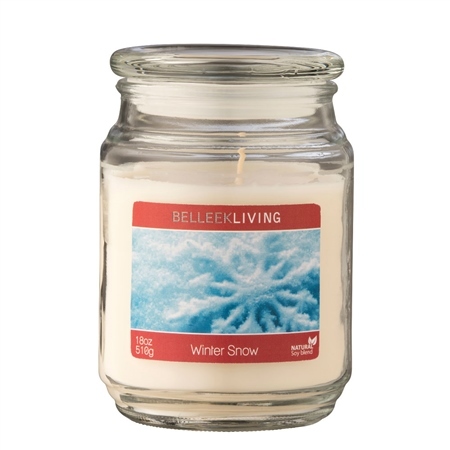 Belleek Living have introduced their home fragrance range and they bring you the Winter Snow Candle. With a fresh aroma the Winter Snow Candle is made from soy blend and burns evenly and slowly with approximately 150 hours burn time per 18oz candle. It has 5% fragrance.